It wasn’t supposed to be this difficult. 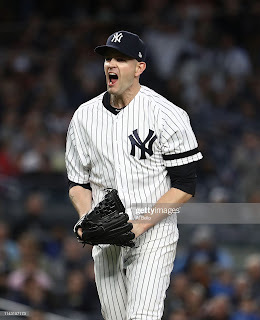 James Paxton, who is off to a historic start in his young Yankees career, exited after the sixth with a 5-0 lead thanks in part to another home run from Clint Frazier. 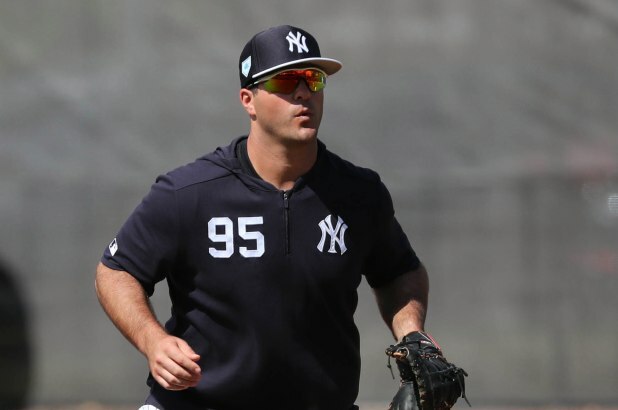 Tommy Kahnle pitched a scoreless seventh inning, and then Aaron Boone handed the ball to Chad Green for the eighth. Things did not go as planned from that moment on. Coming off an impressive two-game sweep of the Boston Red Sox, the Yankees were flat yesterday as they dropped game one of the four-game series versus the lowly Royals. However, the bats woke up today and backed CC Sabathia’s second consecutive start in which he allowed zero earned runs. 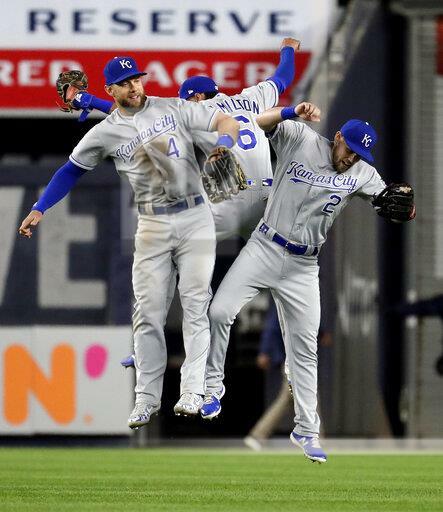 Riding high after last night’s dramatic win over Boston, the Yankees failed to carry that momentum into tonight’s series opener with the Royals, falling 6-1 to Kansas City. With the loss, New York is now a combined 3-7 at home against projected American League cellar dwellers Baltimore, Detroit, Chicago and Kansas City. 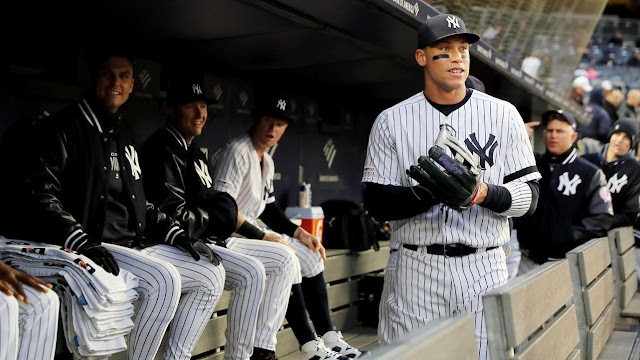 The New York Yankees and the Kansas City Royals will be meeting for the first time this season for a weekend four-game set in the Bronx. The Yankees have dominated the Royals in recent memory with a 19-8 record against the AL Central foe over the last four seasons, via baseball-reference. Both teams come into this series with below .500 records as the Yanks sit at 8-9 and the Royals at 6-12. 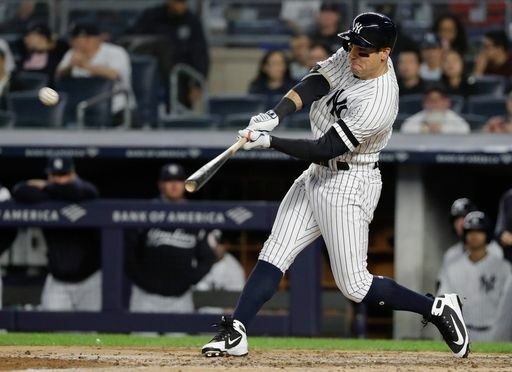 Death, taxes, and injured Yankees, well, at least that’s what it feels like.The latest to succumb to the 2019 injury bug is first baseman Greg Bird with a plantar fascia tear.At the break of the news, Bird was placed on the 10-day IL, but after some review it seems the injury is more severe than originally expected.An injury of this nature will likely sideline Bird for at least a couple months, if not more.Although past injuries that Bird has suffered are not related, it’s worth mentioning that Bird has played just 140 major league games since 2015. The Yankees and the Red Sox have both had rough starts to the season, yet the Yanks were the team in this series that found themselves getting back to their winning ways over this two game set. The Yanks blew out the Sox on Tuesday night, and on Wednesday night they had to come from behind to win it, which they did, fueled by a late Brett Gardner grand slam as the Yanks completed the two game sweep with a 5-3 victory. JA Happ had the ball for the Yankees in this one and early on it looked like yet another horrible start for the lefty. J.D Martinez took Happ deep in the first for a solo shot, and Christian Vazquez sent a two-run shot over the right field wall to give the Red Sox a 3-0 advantage in the second. Happ would settle down however and not allow another run, going six and a third and most importantly keeping his team in the game. James Paxton pitched a gem in his first start against the Red Sox in pinstripes. The Big Maple threw eight shutout innings with 12 strikeouts against only two hits and one walk. Six of his strikeouts came in-a-row between the sixth and eighth innings. His counterpart for the day, however, did not fare as well. Chris Sale lasted five innings, giving up four runs on seven hits. The outing actually improved his ERA, as he came into the day with an ERA of 9.00. After Sale’s first time through the Yankees’ lineup, the Bombers dominated the Red Sox pitching, scoring eight runs on 11 hits.